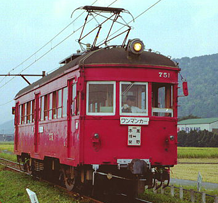 Nagoya Railroad Co, Ltd. (alias Meitetsu) class 750 electric streetcar. 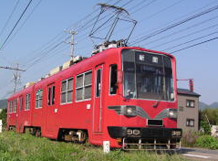 This class of streetcars were manufactured as early as in 1928, but has been used in everyday traffic until at least 2001. 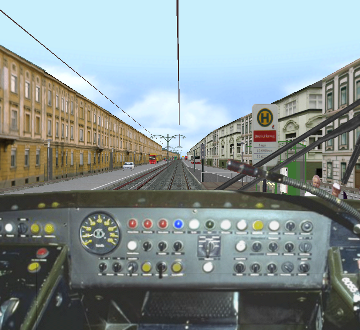 Very well done simulation, which requires a special technique to drive because of its braking system. 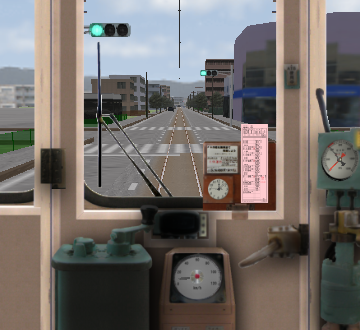 Also, there is no speedometer, so the driver has to estimate the speed to avoid overspeeding. 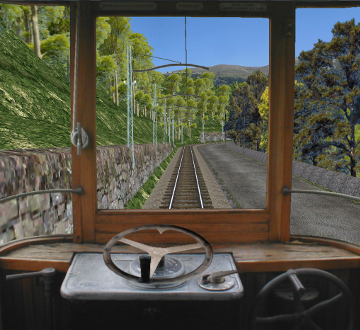 Photorealistic driver's stand with manometers (pressure gauges), clock and a combined gauge board illumination and pilot lamp. 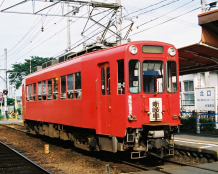 The creator Gaku's web site is gone from the Internet. 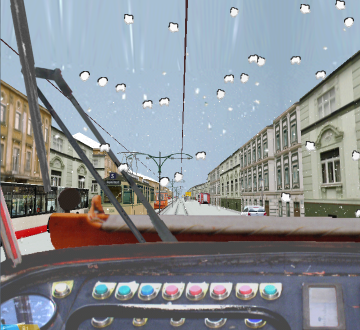 Electric works streetcar with snow plough. 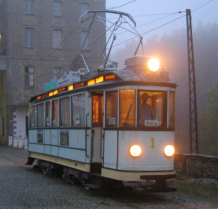 The tram is manufactured by CKD Tatra in former Czechoslovakia. 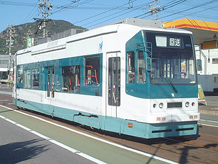 This works car is used in OpenBVE to move snow in the route line 11. 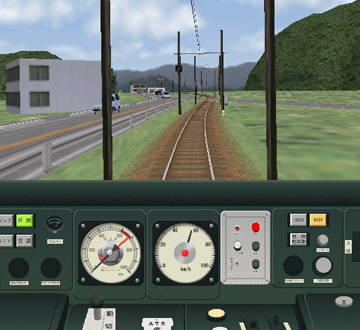 While moving snow the maximum speed is 30 km/h. 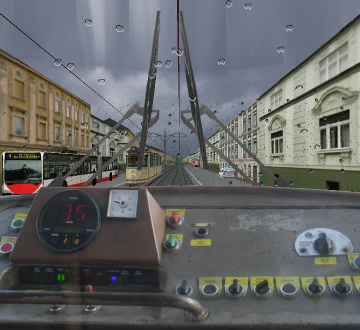 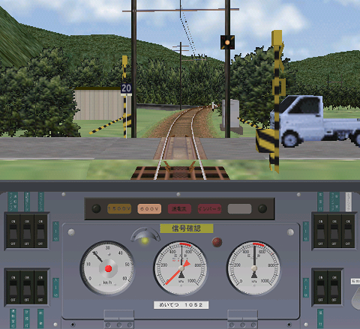 Photorealistic driver's stand with working indicators. 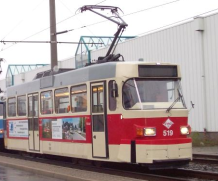 Electric streetcar class T3D-M (where M means modernized) manufactured by ČKD Tatra in former Czechoslovakia. 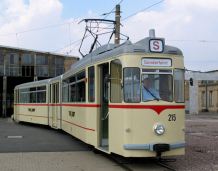 Different types of class T3 streetcars were made from 1961 to 1990. 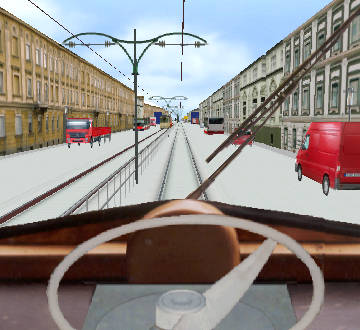 Totally almost 14 000 streetcars were made! 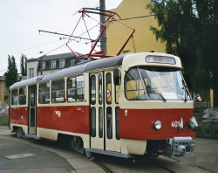 Less than 40 class T3D streetcars were modernized in 1991--1992 by Waggonbau Bautzen and AEG and became class T3D-M cars. 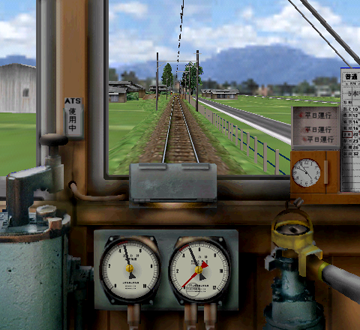 Photorealistic driver's stand and working indicators.